However, it does bug me a bit (and would really piss me off if I were a woman) that the BMC breweries make the assumption that they can win over women by making inferior beers with less and less flavor. 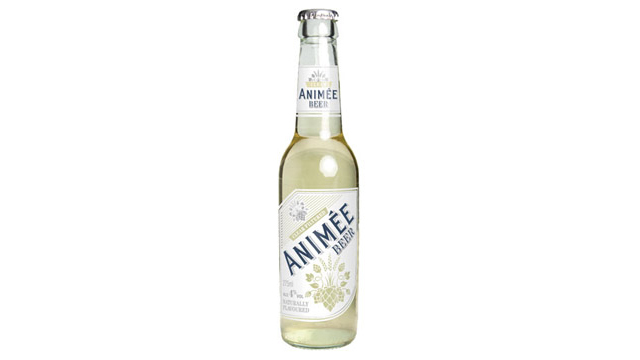 Just as the most recent example that I have seen is here: Molson Coors (UK & Ireland) Targets Women with Launch of Animee. I think gizmodo.com probably has it right in their article "Bloat-Resistant" Beer Probably Tastes Like Pee Water. It just looks like Coors is trying to make a light-flavored, boring Coors light even more boring and flavorless and then call it a lady's drink. Marketing it as "Bloat-Resistant" makes me think they don't think it tastes very good, so they have to add in another "hook" to market to women. It is very similar to the marketing on the completely awful low carb beers that have joined the beer market over the past few years. The problem that Molson Coors is apparently trying to address is real. BMC beer sales are down and have been trending down for quite some time. Women are almost completely uninterested in the boring light lagers that BMC tends to make. Craft beer sales, on the other hand, are growing by double digit percentages and have been for several years. I don't have published stats to support this, but it has been my recent experience that women tend to prefer flavorful craft beers over BMC light lagers. When I brought Stouticus to work, quite a few of the girls commented on how much they liked it (much to their surprise I think). For example, one of them said "That beer was fantastic" and "I don't usually like Stouts, but I thought those were both outstanding." 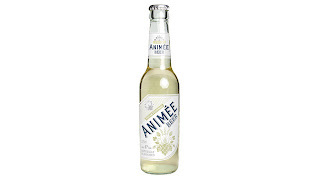 Another told me how much she never really cared for beer until a friend (also a woman) convinced her to try "boutique" beers. And, of course, as I mentioned above, at least half the beer bloggers that I regularly read are women, and I am quite sure none of them will be fooled into drinking a beer just says it is "bloat resistant". Granted, my "market" view is pretty narrow, especially when you compare it to the marketing machine of big beer companies. Just about everyone I know realizes that I brew beer and am not a fan of BMC beers. That being the case, most people who talk to me about beer or whom I read are probably more likely to talk more about craft beer than BMC. I do have people (mostly guys, but women too) tell me that they prefer their light lagers or even (God forbid) those awful low-carb beers. I just think that if Molson Coors concentrated on making better tasting beer they would have more luck getting some of that female market segment, than they will by making an awful beer with a marketing gimmick aimed toward women. I suppose I could be wrong, though. I completely agree with you. Perhaps it's just my circle of friends, but most of the women I know (including myself) prefer great tasting beer and/or wine. If BMC breweries would do a serious market study, it might surprise them to find that many women don't like those gimmicky beers (and I use the term loosely) they keep producing. They are vastly off the mark in their assessment of female drinkers. If they want to increase sales and attract more women beer drinkers, they need to make better tasting beer. Thanks for stopping by and leaving a comment, Angela. You would think that eventually as craft brewers post double-digit growth year after year while the big guys lose more and more market share, the BMC breweries will start to get the picture.